Discover the perfect 'Just My Size' chair for kids. With multiple themes bringing your child's favorite preschool characters to life, they can choose from Cars, Spiderman, Disney Princess, Sesame, Minnie Mouse, Dora and many more. It's a must have in every child's room. These fun and functional foam chairs are incredibly durable and easy to clean. The removable and machine washable slipcover keeps the chair in great condition making them 100% mom approved. 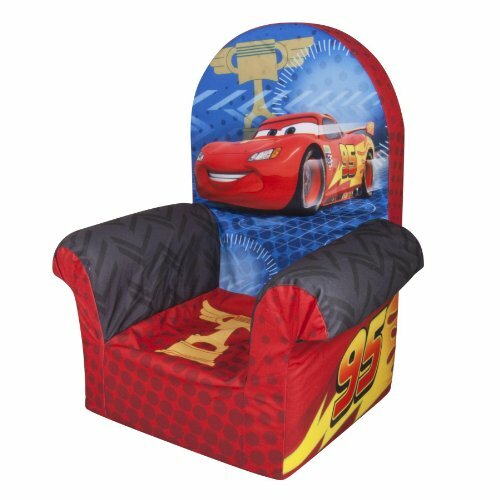 Bring your child's favorite characters to life with the fun and comfortable line of Marshmallow High Back Chairs.